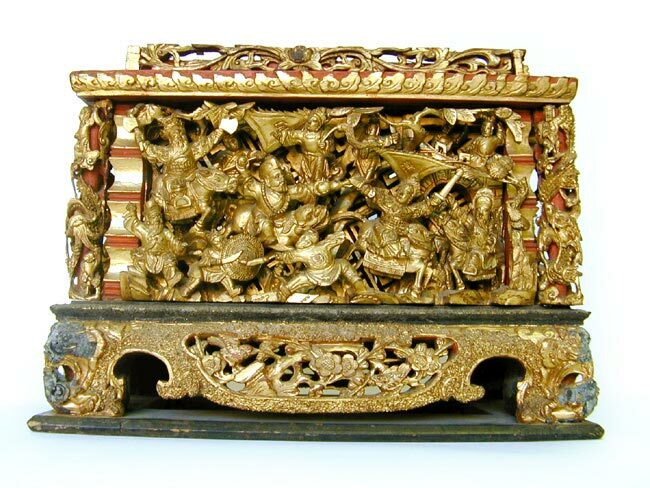 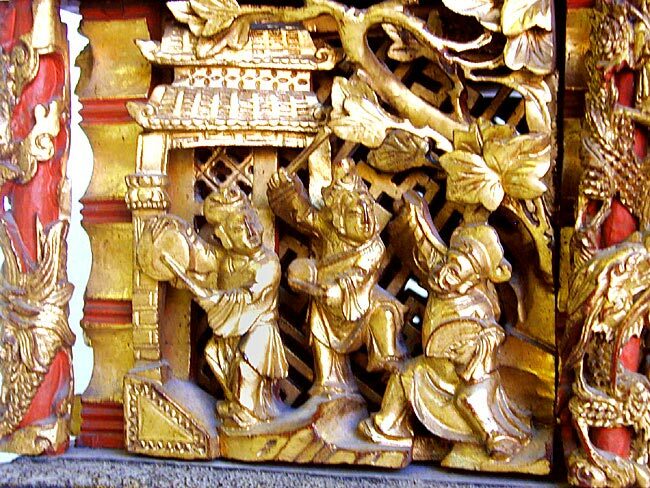 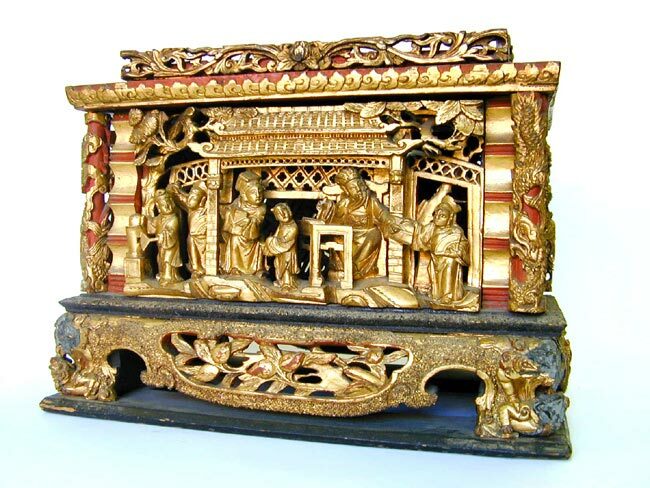 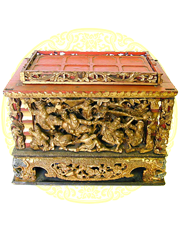 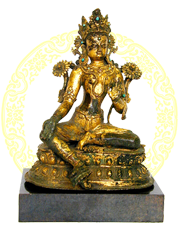 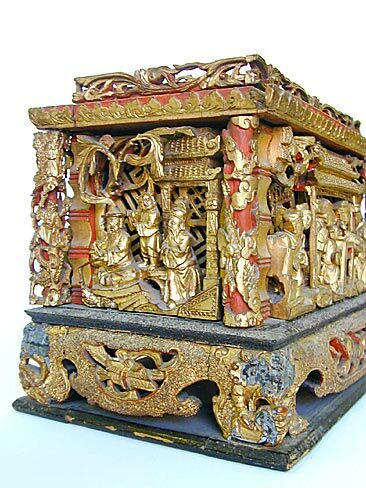 Magnificent gilt carved wooden offering box (1862-1875, certificate of antiquity no. A785033), approximately 14 inches long. 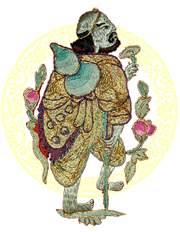 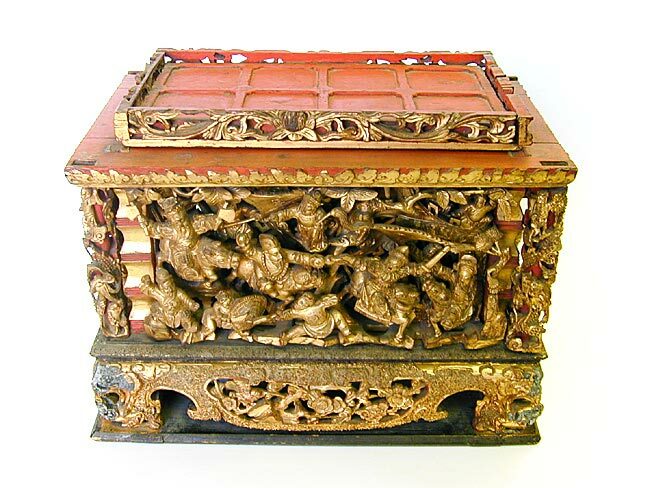 The offering box, of the Tung Che period, Qing Dynasty, is extensively and wonderfully carved with intricate motifs of dragons, flowers and numerous figures on horseback, and decorated in red lacquer and gold leaf.